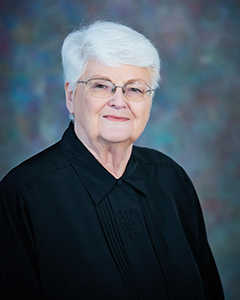 With over 50 years in banking, Vera has spent 44 of those years at Security State Bank! Vera has lived in Wellington most of her life, where she raised her 2 children and now has been blessed with 3 grandchildren and 3 great-grandchildren which she is proud to say makes her life fuller. Vera says her favorite thing about Security State Bank is “The great group of people I have worked with and some of the best customers you could ask for!” Vera enjoys people, so working at the Security State Bank Drive-Thru and seeing customers every day is where she wants to be. 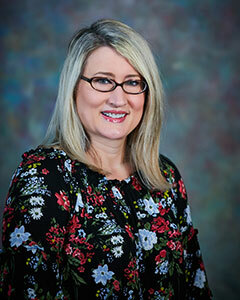 With over 21 years of banking experience, Laura Popplewell is our newest Loan Administrator assisting our Lenders with document preparation, information, and assisting customers. Laura’s experience makes her a valuable asset not only in the Lending Department, but you can also find her on the phone answering questions concerning online banking or even jumping in on the teller line to assist on those hectic days! After moving away for a few years, Laura and her husband Zach, moved their family back home in 2000 to plant their roots in the community where they were born and raised. Laura says “The family-like atmosphere at Security State Bank and their involvement in the community make me proud to say I am a member of this team!” When Laura isn’t at work, she enjoys spending time with family and friends! You may recognize Julie Aguilar as one of the first faces that greets you when you walk into Security State Bank or from her perched position on top of the bleachers at Sellers Park, with her infamous air horn cheering on her favorite team the Wellington Crusaders! 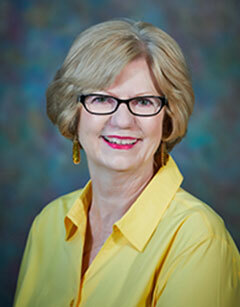 With over 34 years of customer service, Julie takes that extra step for each of our customers. Whether it is helping our customers with their accounts, online banking, questions, or even offering to get a bag of popcorn for our customers on Fridays, Julie sets the bar high in customer service! Julie says her favorite thing about Security State Bank is that “I love being a part of a team who is so community involved”. Outside of work, Julie teaches Awana’s at the First Baptist Church and enjoys spending time with her family and of course those cute grandchildren! Recently promoted to Information Security Officer, Katelin “Katie” Sisson is a vital part to all things “Mobile” at Security State Bank. Being a mobile person herself, you will see Katie assisting our employees and customers with various aspects of technology, but also jumping in and helping the teller line if needed. Born and raised in Wellington, Katie graduated in 2007 from Wellington High School and went on to play softball at Independence Community College. Katie moved back to Wellington after college because there is no place like home! Outside of Security State Bank, Katie enjoys spending time with her 2 children, Arianna and Kendrick, and cheering on the Denver Broncos. Katelin says her favorite thing about Security State Bank is “I love how involved we are within our community”. Favorite Quote “Faith makes things possible, not easy”. With over 22 years of banking experience, Vice President Danielle Bustraan has witnessed the growth of the banking and lending industry. 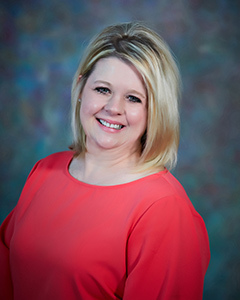 Whether it is the growth of a business, the family farm, or the family itself- Danielle is able to assist customers with all types of lending needs. 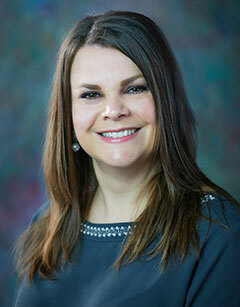 Danielle’s dedicated service and lending experience reflects her commitment to her customers and her ethics. One of Danielle’s favorite things about Security State Bank is the historical building that it is located in. When Danielle isn’t making deals, she is traveling. Her love for history, nostalgia, Walt Disney and the South keep her planning for new and exciting adventures. When Stephanie is not at work, she is looking for adventures or spending time outside with her son or cheering on her beloved “Cubbies”. 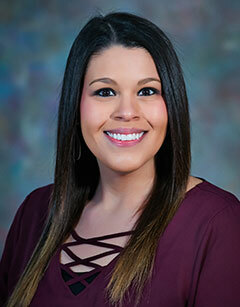 Born and raised in Wellington, Brittany began her banking career in 2008 after receiving her Associates Degree from Butler County Community College. 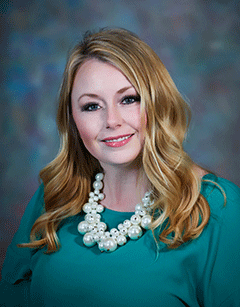 In 2014, Brittany joined the Security State Bank team as an Operations Manager. As an Operations Manager, Brittany oversees the teller staff, opens accounts, assists with online banking, along with the day to day, behind the scenes operations of banking. One of Brittany’s favorite things about Security State Bank is how involved we are in the community. Outside of work, Brittany enjoys her puppies, her nephews, crafting, OU football, and spending time wither her family and friends. 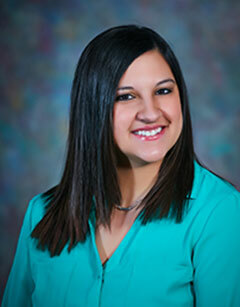 Born and raised in Wellington, Lindsey Daugherty joined the Security State Bank team in 2011. 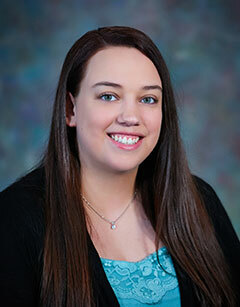 As an Internal Auditor, Lindsey reviews bank practices and records for compliance with established internal policies and procedures and helps develop recommendations for improving internal controls, efficiency, and the adequacy of bank records and recordkeeping. Lindsey’s favorite thing about Security State Bank is their customers, because they are the banks greatest assets! Lindsey also dedicates her time as Treasurer of the PTA at her daughters’ school. During her free time, Lindsey enjoys concerts, shopping, and relaxing at her cabin. Outside of Security State Bank, Carol loves spending quality time with her three children Jeremy, Josh, and Amy and her 5 precious grandchildren. Born and raised in Wellington, Jodie Heath joined the Security State Bank team in 2011. With her extensive background in Real Estate, Jodie handles escrow, title, and mortgage insurance along with financing for cars, trucks, motorcycles, and personal loans. Jodie also spends countless hours organizing the Security State Bank Wheat Run held every year during the Kansas Wheat Festival. 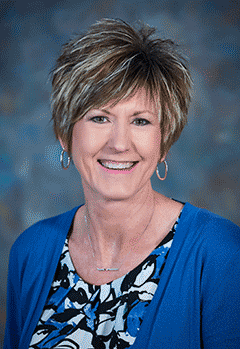 Jodie is not only a familiar face at Security State Bank, but also serving on the Wellington Chamber of Commerce Board and The USD 353 Foundation. Outside of work, Jodie enjoys spending time with her family, running (LOTS OF RUNNING), fitness, traveling, and shopping.